Tortricoidea Latreille, 1803 (Tortrices). "In:  Buffon de Sonnini, Hist.nat.gnerale Crustacs Insectes 3: 415. I.C.Z.N., 1957, Opin. Decl. int. Commn zool. Nom. 15 (Opinion 450): 259. " Tortricidae Latreille, 1803 (Tortrices). "In:  Buffon de Sonnini, Hist.nat.gnerale Crustacs Insectes 3: 415. I.C.Z.N., 1957, Opin. Decl. int. Commn zool. Nom. 15 (Opinion 450): 259. " Tortricinae Latreille, 1803 (Tortrices). 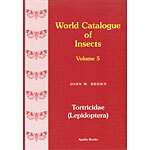 "In:  Buffon de Sonnini, Hist.nat.gnerale Crustacs Insectes 3: 415. I.C.Z.N., 1957, Opin. Decl. int. Commn zool. Nom. 15 (Opinion 450): 259. " Tortricini Latreille, 1803 (Tortrices). "In:  Buffon de Sonnini, Hist.nat.gnerale Crustacs Insectes 3: 415. I.C.Z.N., 1957, Opin. Decl. int. Commn zool. Nom. 15 (Opinion 450): 259. " Peroneidae Stainton,  (Peroneidae). Manual Br. Butterflies and Moths 2: 188. Chimatophilidae Kirby, 1897 (Chimatophilidae). Hand-book Order Lepid. 5 (Moths 3): 282. Schoenotenini Diakonoff, 1952 (Schoenotenidae). Zool. Meded. Leiden 31: 166. Cochylini Guenee, 1845 (Cochylidi). Annls Soc. ent. Fr. (2)3: 297. Hysterosiinae Heslop, 1938 (Hysterosiinae). New bilingual Cat. Br. Lepid. : 70 Nomen nudum. Euliini Kuznetzov & Stekolnikov, 1977 (Euliae). Trudy zool. Inst. Leningr.70: 90. Lozoperidae Stainton, 1845 (Lozoperidae). Manual Br. Butterflies and Moths 2: 188. Commophilidae Hampson, 1918 (Commophilidae). Nov. Zool. 25: 387. Aetheinae Obraztsov, 1946 (Aetheinae). Z. Wien Ent. Ges. 30: 22. Agapetidae Obraztsov, 1950 (Agapetidae). Ent. News 61: 198. Cnephasiini Stainton,  (Cnephasidae). "Manual Br. Butterflies & Moths, 2: 188." Sciaphilinae Guenee, 1845 (Sciaphilidi). Annls Soc. ent. Fr. (2)3: 163. Exapatidae Stainton, 1854. (Insecta). "Br., Lepid. Tineina: 10 (key), 11. " Tortricodidae Stainton,  (Tortricodidae). Manual Br. Butterflies and Moths 2: 277. Archipini Pierce & Metcalfe, 1922 (Archipsidii). "Genitalia Group Tortricidae Lepid. Br. Is. : XXI, 1." Apheliinae Guenee, 1845 (Aphelidi). Annls Soc. ent. Fr. (2)3: 305. Carpocapsidae Stainton, 1858 (Carpocapsidae). Manual Br. Butterflies and Moths 2: 188. Chresmarchinae Diakonoff, 1939 (Chresmarchidii). Zool. Meded. Leiden 21: 135. Cacoeciinae Diakonoff, 1939 (Cacoecidii). Zool. Meded. Leiden 21: 151. Zacoriscinae Diakonoff, 1941 (Zacoriscides). Treubia 18: 31. Ramapesiini Razowski, 1993 (Ramapesiini). Acta zool. Cracov. 35(3): 665-703 Nomen nudum. Sparganothini Druce, 1912 (Sparganothidae). Ent. month. Mag. 48: 133. Niasomini Powell, 1964 (Niasomini). "Univ. Calif. Publs Ent. 32: 53, 66 " Nomen nudum. Atteriini Busck, 1932 (Atteriidae). "Boletim Biologico, Rio de Janeiro 21: 44." Chlidanotinae Meyrick, 1906 (Chlidanotidae). J. Bombay nat. Hist. Soc. 17: 412. Polyorthini Obraztsov, 1966 (Polyorthini). Proc. U.S. natn. mus. 118: 579. Chlidanotini Meyrick, 1906 (Chlidanotidae). J. Bombay nat. Hist. Soc. 17: 412. Hilarographini Diakonoff, 1977 (Hilarographini). "Ent. Ber., Amst. 37: 76"
Olethreutinae Walsingham, 1895 (Olethreutinae). Trans. ent. Soc. Lond. 1895: 500. Microcorsini Kuznetzov, 1970 (Microcorsini). Ent. Obozr. 49: 442. Gatesclarkeanini Diakonoff, 1973 (Gatesclarkeanae). Zool. Monogrn Rijksmus. nat. Hist. 1: 5. Olethreutini Walsingham, 1895 (Olethreutinae). Trans. ent. Soc. Lond. 1895: 500. Syricorinae Guenee, 1845 (Syricoridi). Annls Soc. Ent. Fr. (2)3: 156. Eudemini Falkovitsh, 1962 (Eudemini). Ent. Obozr. 41: 882. Lobesiini Falkovitsh, 1962 (Lobesiini). Ent. Obozr. 41: 883. Rhodocosmariina Diakonoff, 1973 (Rhodocosmariae). Zool. Monogr. Rijksmus. Nat. Hist. 1: 35. Zomariina Diakonoff, 1973 (Zomariae). Zool. Monogr. Rijksmus. Nat. Hist. 1: 39. Sorolophina Diakonoff, 1973 (Sorolophae). Zool. Monogr. Rijksmus. Nat. Hist. 1: 47. Sycacanthina Diakonoff, 1973 (Sycacanthae). Zool. Monogr. Rijksmus. Nat. Hist. 1: 105. Statherotina Diakonoff, 1973 (Statherotides). Zool. Monogr. Rijksmus. Nat. Hist. 1: 179. Neopotamiina Diakonoff, 1973 (Neopotamiae). Zool. Monogr. Rijksmus. Nat. Hist. 1: 295. Endotheniini Diakonoff, 1973 (Endotheniina). Zool. Monogrn Rijksmus. nat. Hist. 1:363. Bactrini Falkovitsh, 1962 (Bactrini). Ent. Obozr. 41: 884. Enarmoniini Diakonoff, 1953 (Enarmoniini). Verh. K. ned. Akad. Wet. (2)49(3): 89. Ancylini Pierce & Metcalfe, 1922 (Ancylisidii). "Genitalia Group Tortricidae Lepid. Br. Is. : XXI, 53." Anchyloperidae Stainton,  (Anchyloperidae). Manual Br. Butterflies and Moths 2: 188. Eucosmini Meyrick, 1909 (Eucosmidae). J. Bombay nat. Hist. Soc. 19: 582. Penthininae Guenee, 1845 (Penthinidi). Annls Soc. Ent. Fr. (2)3: 151. Spilonotinae Guenee, 1845 (Spilonotidi). Annls Soc. Ent. Fr. (2)3: 154. Stigmonotidae Stainton, 1859 (Stigmonotidae). Manual Br. Butterflies and Moths 2: 188. Epiblemidae Meyrick, 1895 (Epiblemidae). Handbook Br. Lepid. : 453. Grapholitini Guenee, 1845 (Grapholithidi). Annls Soc. ent. Fr. 2(3): 169. Ephippiphorini Pierce & Metcalfe, 1922 (Ephippiphoridii). "Genitalia Group Tortricidae Lepid. Br. Is. : XXI, 74." Lipoptychini Pierce & Metcalfe, 1922 (Lipoptychidii). "Genitalia Group Tortricidae Lepid. Br. Is. : XXI, 93." Laspeyresiini Heinrich, 1923 (Laspeyresiinae). Bull. U.S. natn. Mus. 123: 10.